Osei Assibey Antwi, the Chief Executive of the Kumasi Metropolitan Assembly (KMA), has called on investors from the United Kingdom (UK) to help construct hostels to accommodate the teeming students in the city. The Kumasi Mayor made the call when the chiefs, Member of Parliament (MP) of Nhyiaeso Constituency, Kennedy Kankam and the people organized a mammoth durbar in honour of the British High Commissioner to Ghana, Iain Walker in Kumasi recently. 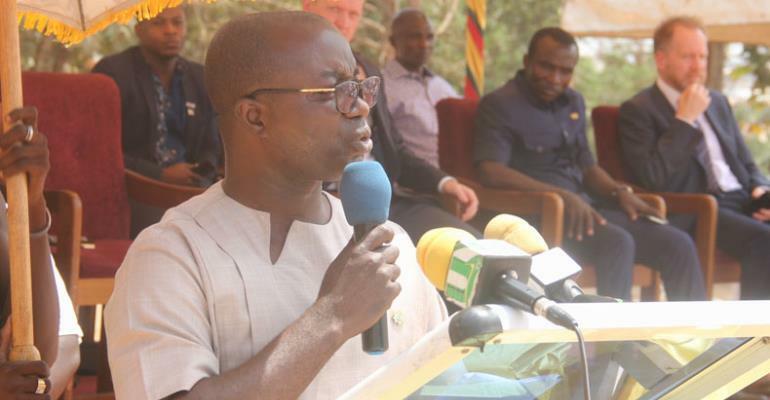 The Kumasi Mayor stated that British nationals are noted for their quality work, stressing the need for the investors to invest in the construction of hostels at the Kwame Nkrumah University of Science and Technology (KNUST). Mr Osei Assibey also disclosed that Kumasi has a lot of potential in the tourism sector and entreated investors from the UK and other countries to make the investment to earn returns. Mr Osei Assibey said the KMA would come out with a programme dubbed, 'Operation Keep the City Clean and Green' to make Kumasi gorgeous. The student population of KNUST is now in excess of 40,000, authorities have disclosed and the university faces accommodation challenges due to the huge number of students. The institution can only offer accommodation to about 21 percent of the students.